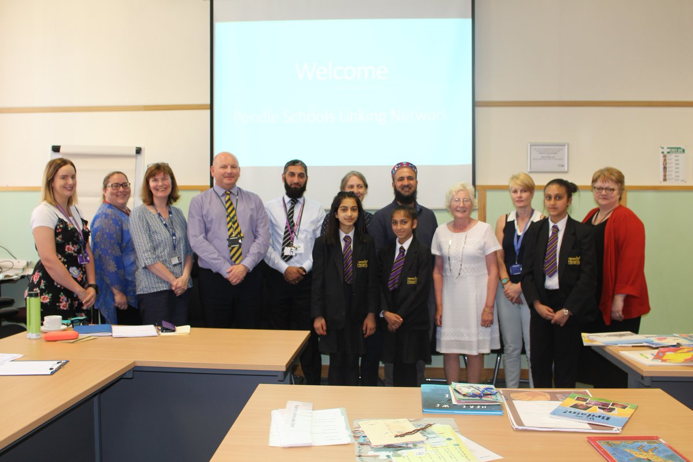 Led by Building Bridges Pendle, the Pendle Schools Linking Network (PSLN)has been running since 2015. 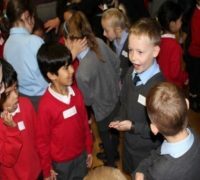 Last year 29 classes, across 17 primary schools and 4 secondary schools were engaged. 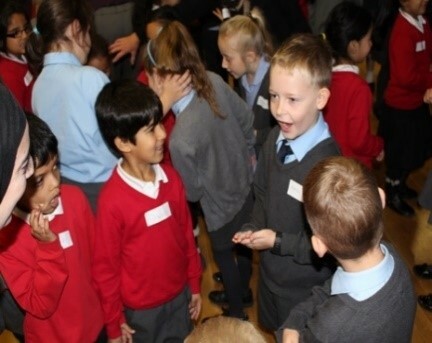 In 2018-2019 the Linking Programme now engages over 900 children in 36 classes. 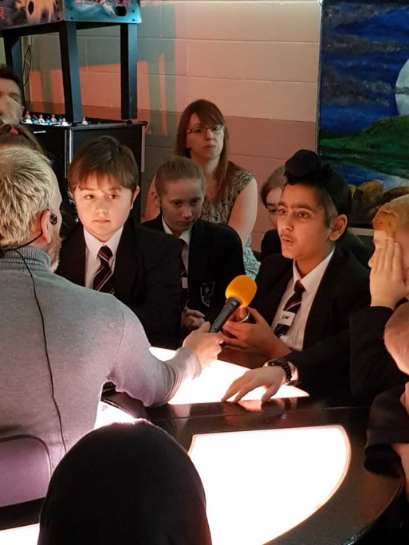 The overall aim of the PSLN is to provide opportunities for children to meet, build relationships, work together and contribute to social development in the wider community. 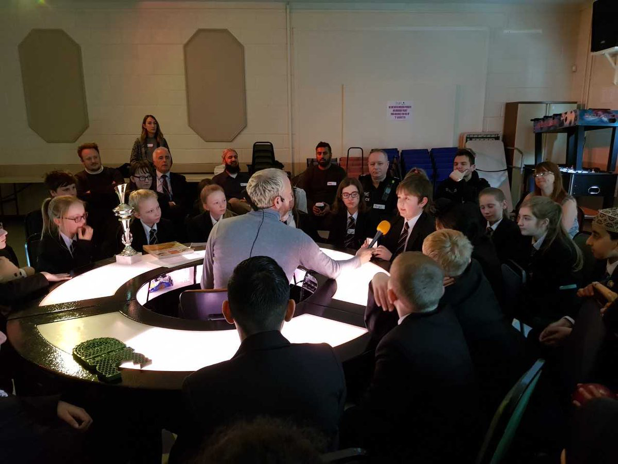 Our neutral venues include: Colne Primet Academy and the Ace Centre. We offer to fund the neutral venue and transport to get there, there is also a grant for second year groups in a school. Additional external funding has been acquired in the form of a grant from Bowland Trust, for education based cohesion work. 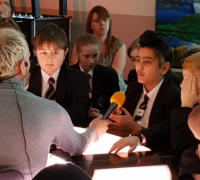 An exciting linking opportunity; some of our students took part in the “talkeoke” event with students from schools across Pendle, they put questions to a local journalist on a range of subjects. 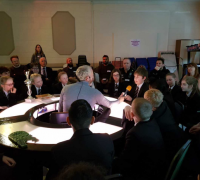 ‘Talkeoke’ is a fascinating strategy for encouraging meaningful dialogue in a way that seems accessible and non-threatening. 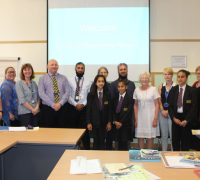 Building Bridges is embedded in our community and the Pendle Schools Linking Programme is fully supported by the Chief Executive of Pendle Council, Dean Langton, who spoke at the teacher training launch in July 2018 thanking teachers linking their classes for all their work and of the partnership between the charity and the council to achieve shared goals for the area.